The above picture house is built in modern way and its simply beautiful as you see. 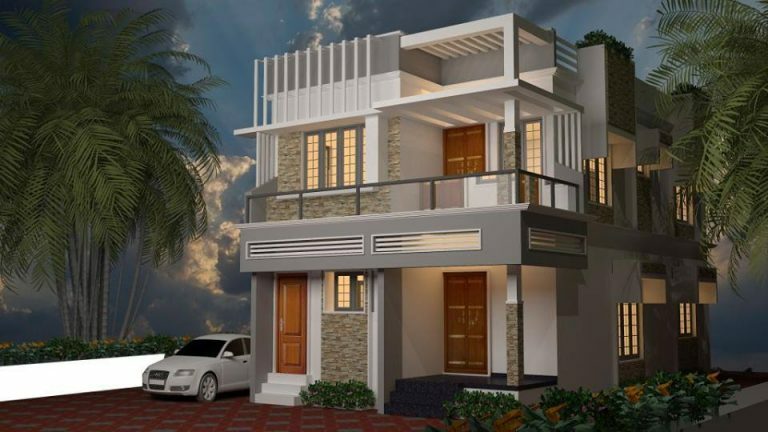 the home plan consists of 3 bedrooms. 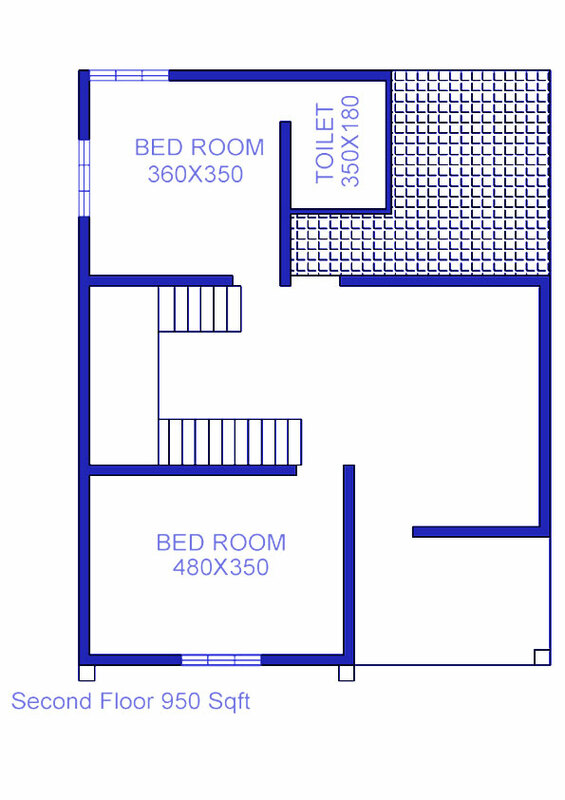 one bedroom on the ground floor with attached bathroom and two bedrooms on the second floor and one has attached bathroom. The house also has a common bathroom on the ground floor. 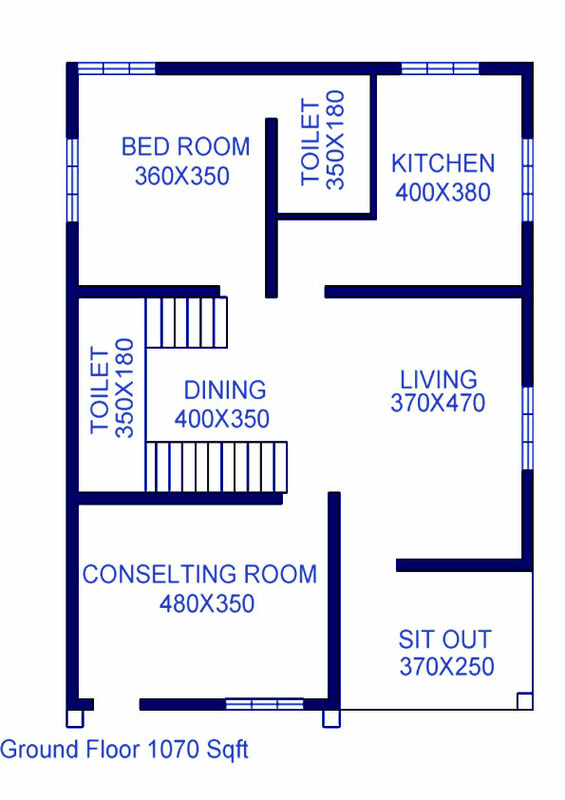 The other specification of this house include a sit out, kitchen, dining hall, consultation room and living room. The dining hall and living room together is much spacious. Each space has been utilized and house have been designed very attractively. its affordable too.